The mission is simple: To offer a fun and welcoming environment where you can get a great cut, dazzling color or killer style without any pressure. You'll enjoy your visit as much as your hairstyle. Started in 2005 by industry veteran Ann Powders, Salon Dexterity offers a fun and welcoming environment where you can get a great cut, dazzling color or killer style without all the pressure. Our team members have extensive professional experience and an arsenal of techniques and skills that make them absolute experts in what they do. Best of all, they each take a fun and comforting approach to their craft. Whether you want the latest, most trendy hair color or a tried-and-true favorite cut, our team knows how to deliver – and in a fun, relaxing way. When you come to Salon Dexterity, you can expect to leave feeling great – about your hair, about your experience, about everything. Come to Salon Dexterity today, and put your hair in our hands. Ann has been a stylist and salon owner for her entire career. She has seen all versions of salon structures, navigated varying trends and client requests, nurtured the professional growth of countless stylists and developed an understanding of what it takes to be successful as a salon team. 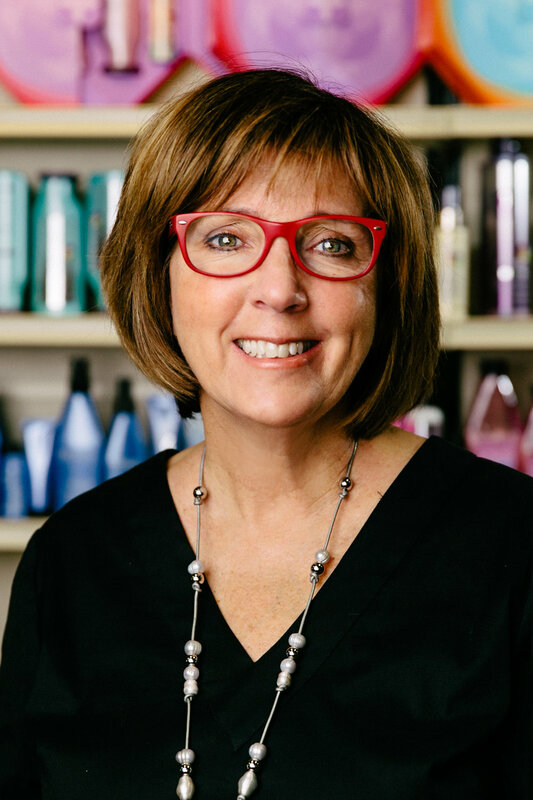 Ann has 3 key priorities: creating the best experience for clients, developing a strong salon team and nurturing the individual growth of each stylist. She’s able to achieve these things through a structured system called Summit Salon, which gives a framework and guidance for becoming successful in all of these areas. Above all, Ann is focused on people and creating the best salon team available in Fort Worth. Spend time chatting with her and you’ll learn that everything she does comes back to creating that experience. Amanda Theriot became a stylist to help women feel confident and look their absolute best at all stages of life. She is a level 3 stylist that started her career in 2014, specializing in thin and fine hair, short textured haircuts, balayage hair painting, extensions – and she can rock an awesome perm. Amanda is certified in Brazilian Blowouts and Cinderella Hair Extensions, and is a Redken Specialist. Jacqui Wilson is a bi-lingual Certified Redken Specialist that has been in the industry since 2015. She achieved the rigorous certification of Redken Color Specialist in 2018. Teaching clients to maintain their beautiful hairstyles at home is a specialty of Jacqui’s, in addition to client consultations, texturized hair, curly hair and make-up. Outside of the salon, Jacqui was a military reservist member and is currently a Police Wives Association member. She loves meeting new people and going to new places. Amanda has known that she wanted to be a stylist from a very young age and was the girl in high school that did all her friends hair for the important events. She graduated college with a psychology degree, then followed her passion for hair by going to cosmetology school. Amanda specializes in balayage color, and adores working with long, thick hair, something that can be challenging for other stylists. She is currently working to become a Redken Color Specialist. Outside of the salon she loves spending time with her sweet daughter, cooking and enjoying the great outdoors. Chastity has been styling hair since she was 13 years old, when she used her designing skills to do hair for family and friends. So, whether you are wanting a new look, or you have a special event, her experience and creativity can help you find the perfect style. Chastity also enjoys channeling her creativity as a special events designer and coordinator. Denise showed her dedication to hair and hair education at the start of her career, when she moved from El Paso to Fort Worth to attend a top-notch cosmetology school. She's passionate about color and staying on top of the newest hair trends. Denise is driven to give each client a personalized, positive salon experience. She spends her time outside of work being a mother to her young daughter. Kim’s focus is on making her clients feel beautiful when they leave the salon and, more importantly, having fun along the way. If you’ve been around Kim for more than a couple of minutes, you’ll quickly learn she’s all about having a great time no matter what’s she’s doing. “Nothing makes hair look better than a beaming, smiling face,” is Kim’s philosophy. Kim has been a stylist since 2003 and honed her skills in a wide spectrum of services. She’s experienced in specialized services like various color techniques and Brazilian Blow Out Smoothing Treatments. She also offers cuts for the whole family - men, women and kids. Alaina is the Salon Coordinator, an important role for the smooth day-to-day operation of the salon. She is the first face clients see when they walk through the door and the voice you hear when calling the salon. Over time, Alaina has gotten to know clients and their families well, making it easy to know their appointment needs. She also knows the strengths and specialties of each stylist, so she’s able to easily find the best fit for a new client. Next time you have a question or request, don’t hesitate to ask for her help. Call (817) 361-6000 to schedule an appointment today!